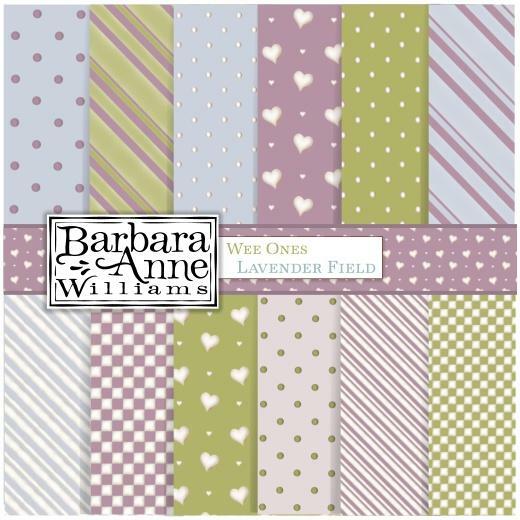 Wee Ones Lavender Field Papers pack by Barbara Anne Williams is a collection of sweet patterned backgrounds in soft shades of lavender, blue and green. While this set is created to compliment the Wee Ones digi stamp sets the colours and patterns in this set are versatile enough to add a special touch to any project. Each digi paper is 8 x 8" and is high print quality so can be safely resized or even tiled for larger projects.